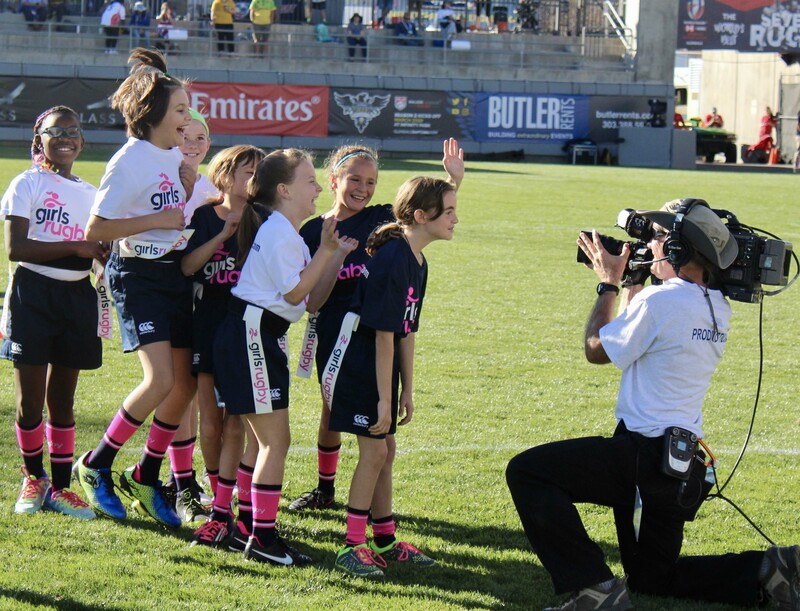 Girls Rugby, Inc. attended the HSBC World Rugby Women’s Seven Series 2019 opening tournament this past weekend at Infinity Park in Glendale, Colorado. Fans watching the games were able to chat with some of our Colorado representatives at the Girls Rugby booth. Those that stopped by learned what Girls Rugby, Inc. is all about, and were given logo stickers to show their support of our organization. Any girls interested in joining a rugby team in the Greater Denver area or any of the current Girls Rugby locations should subscribe the the Girls Rugby email list here. 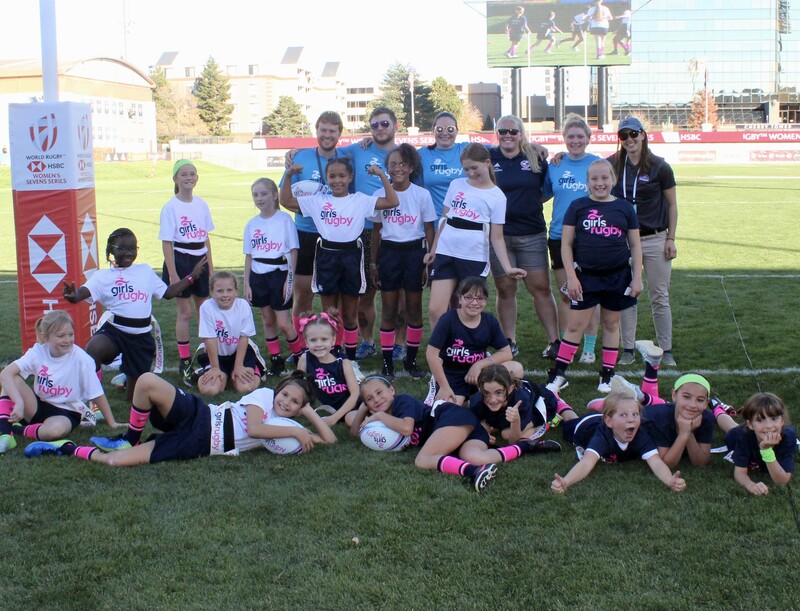 Girls in the Colorado league got the full professional player experience when they were invited to run through the tunnel onto the tournament pitch and play small-sided flag rugby on the same turf that moments earlier had been under the cleats of some of the greatest women’s rugby players in the world. 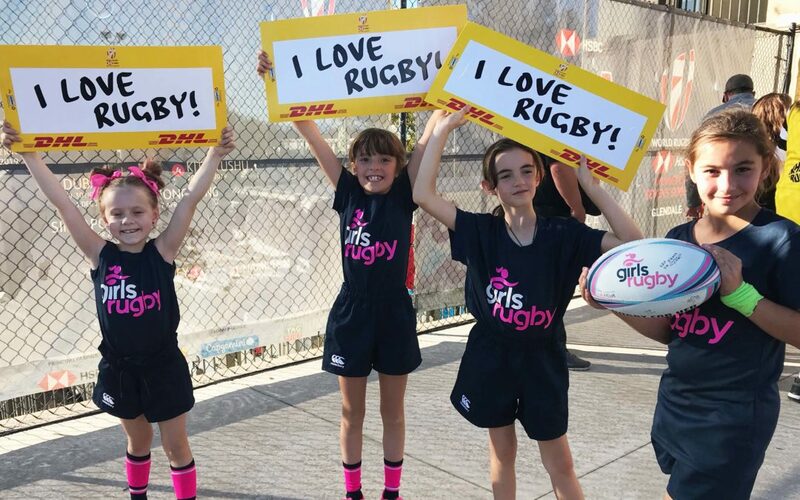 These young players had the opportunity to show off their skills between National team games on Sunday in front of hundreds of rugby enthusiasts. 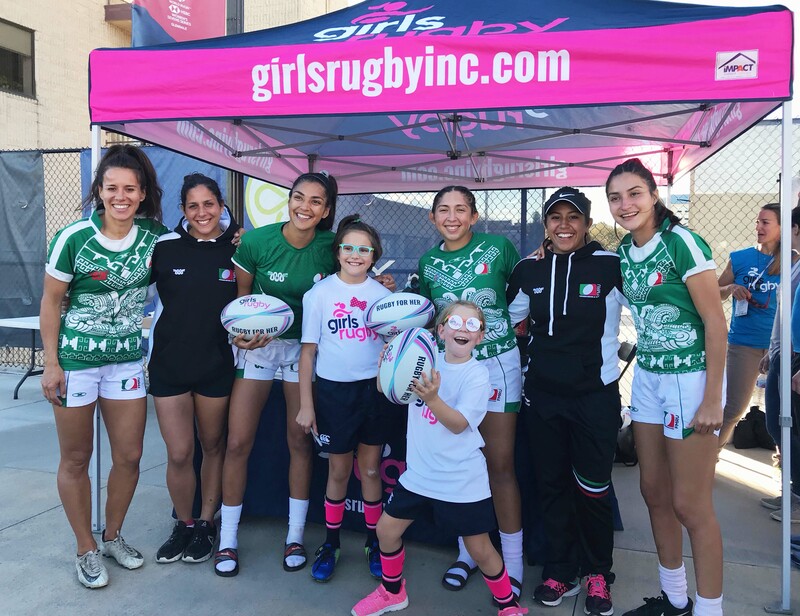 They even gained a few new fans themselves; Team Mexico came by the booth to show their support, meet the future of women’s rugby, and encourage our girls to keep playing. It was a great weekend with lots of rugby and fun. 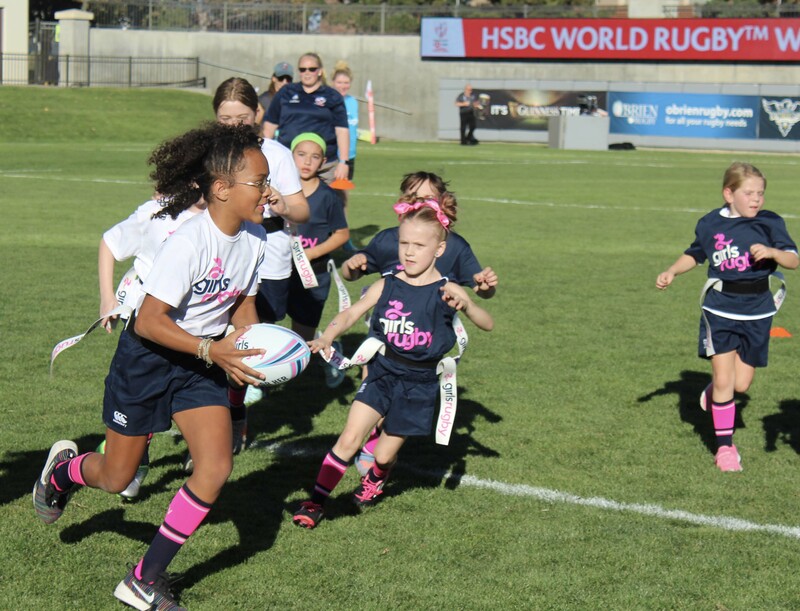 The HSBC World Rugby Women’s Seven Series stop in Glendale this past weekend was the first of six stops that will happen over the course of the 2018-2019 season. Eleven national teams and one invitational team are participating in this year’s series not just to win the overall series, but to also qualify for the 2020 Olympics. The Top 4 teams at the completion of the series earn an automatic qualification to the 2020 Olympics in Tokyo Japan. New Zealand is currently leading after winning this first tournament followed by the U.S. in second place, Canada in third and France in fourth for the Sevens Series. The next stop of the series will be hosted in Dubai on November 29-30.